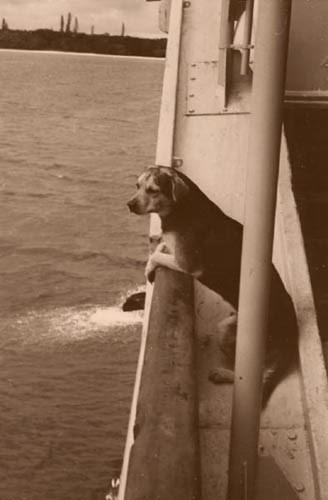 Ladies & gentlemen, you're captain is too busy to talk today. 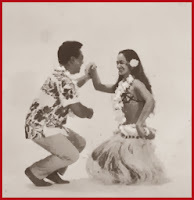 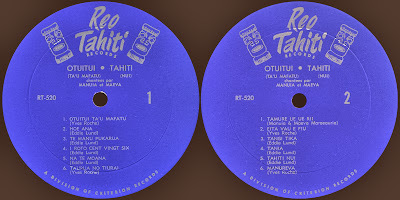 He can't stop dancing on TAI ET SES TAHITIENS «TAMOURE» (Barclay 52590 from the mid 60's). 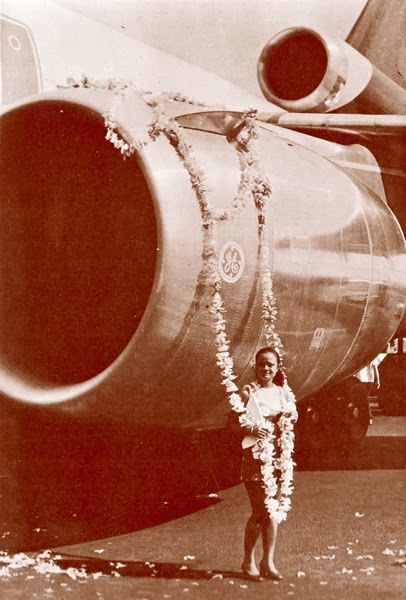 directly from the KTK airlines air hostesses crew! just like on october 10th of last year, when we started our first musical trip! 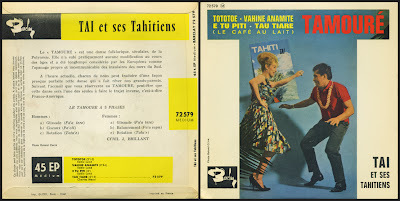 We'll spend the next month discovering 60's local music and learn the "Tahitian twist" with some modernised "Tamouré". 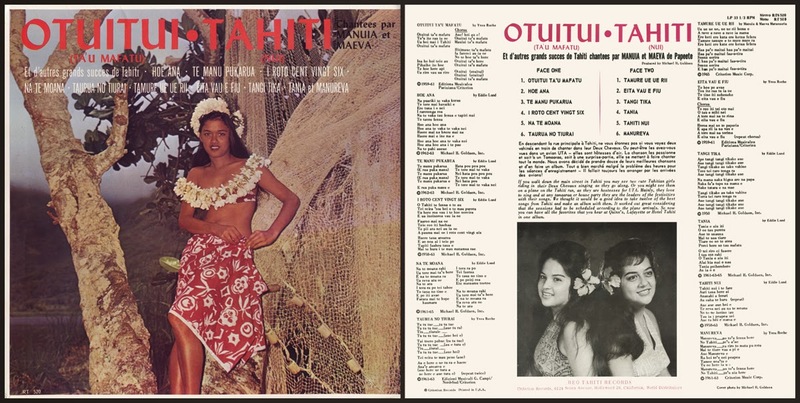 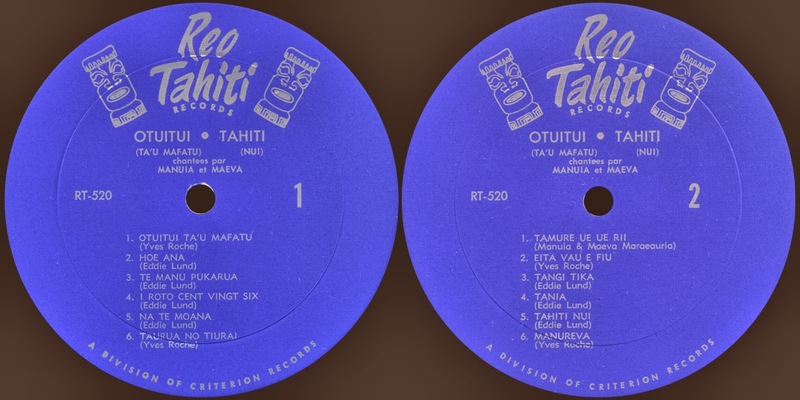 A few months ago, we spent some time with Eddie Lund who was one of the first to promote Tahitian pop culture overseas (and Mr Lund is not really far from this record as he hides behind 3 of the songs we get today). 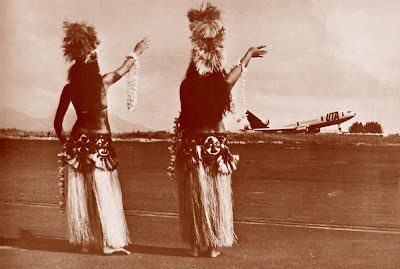 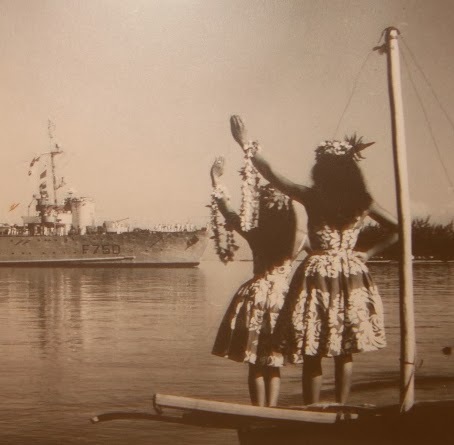 This time, we'll follow the evolution in the mid 60's when tavelling to the Polynesian islands became easier for tourists. It sure helped music influences to travel on both ways, giving an occidental vibe to the local sound while Europe (and Usa) would start to dance along. 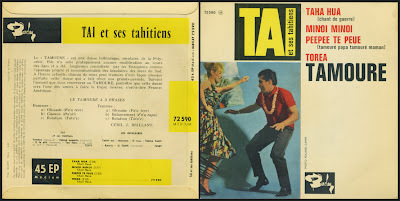 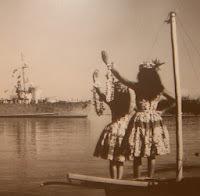 This week, we'll start our little trip with TAI ET SES TAHITIENS «TAMOURE» (Barclay 52579 from the mid 60's). 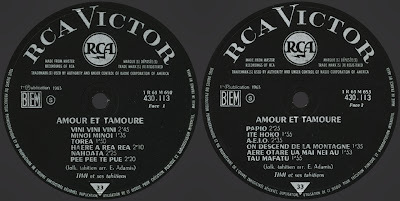 This first ep will be soon followed by another one with nearly the same cover and an identical tittle (we'll get it next time). Enjoy this moment of "tropical rock & roll"
and stay tuned for the part 2 ! 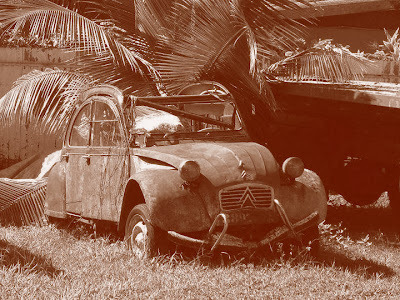 Ladies & gentlemen, sorry for the little delay, today we'll continue our trip in Thailand with some gorgeous music! 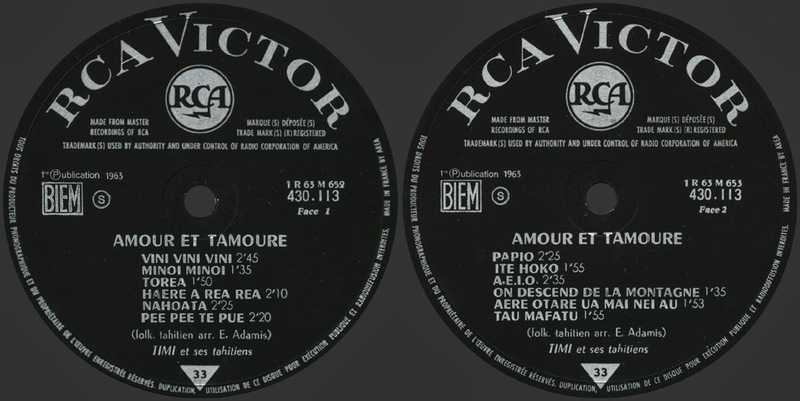 If you enjoyed the last post, you'll sure love this one as it's really in the same mood! 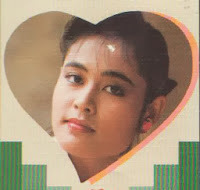 Though she is not really famous and seemed to had a short career NAMOI PHUMSUK gives us a woderfull recording with PLENG AMATA CHUT PHISET (ROTA RT-5177, late 70's). Just like last week we'll get everything that makes 70's luk thung amazing: lots of musicians, a large «tropical» rythm section, influences from disco and funk, some instruments additions such as piano, flutes and strings and the delicious bitter sweet voice of Namoi Phumsuk. 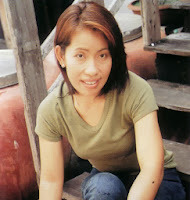 Namoi Phumsuk was born in Nakhon Ratchasima, Isan. Though she was pretty sucessfull in singing contest it seems like some more ambitious rivals got she success she would have deserve. 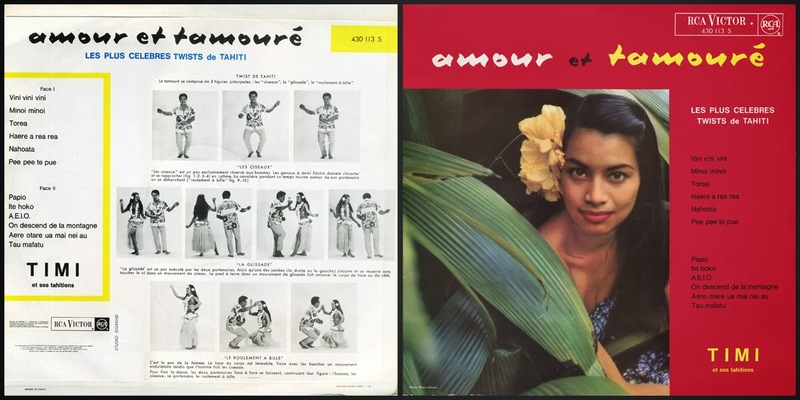 Her career doesn't seem to have been very long (I don't have a clue about how many records she released but i'd love to get some more for sure). All I know is she stopped to sing a long time ago and that you should start to dance right after the firsts seconds of this little gem !!! 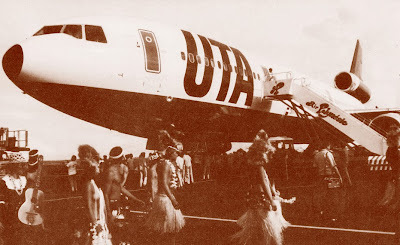 See you next week for the last part of this trip.